Did you know our star will die? The Kurzgesagt “In a Nutshell” video on red dwarfs is fascinating. We learn about a whole host of stars – brown dwarfs, blue dwarfs and even white and black dwarfs. I had no idea there were so many types of stars. Until I watched this quick science lesson I hadn’t thought it would be possible to live with the assistance of the red dwarf. Sure, okay, there will be challenges but it’s good to know it’ll be possible as all of humanity may have to move one day. What fascinates you the most about the stars, space and the sky at night? This video is a little scary. It begins with a walk along the shore. Steve Raplee, owner of High Tide Cafe in Coos Bay, is behind the camera while the waves gently break against the rocks. He’s a smart man and spots the “sneaker wave” coming. I’m not sure I would. This video was published by The Oregonian newspaper just this week and has now had nearly one and a half million views. People just can’t believe how the powerful wave appears from out of nowhere and how strong it is. It’s easy to imagine there would have been real trouble if any of the children or pets playing on the beach hadn’t made it to safety. What do you think? Was this wave dangerous or do you think it was too shallow to really be much of a threat? 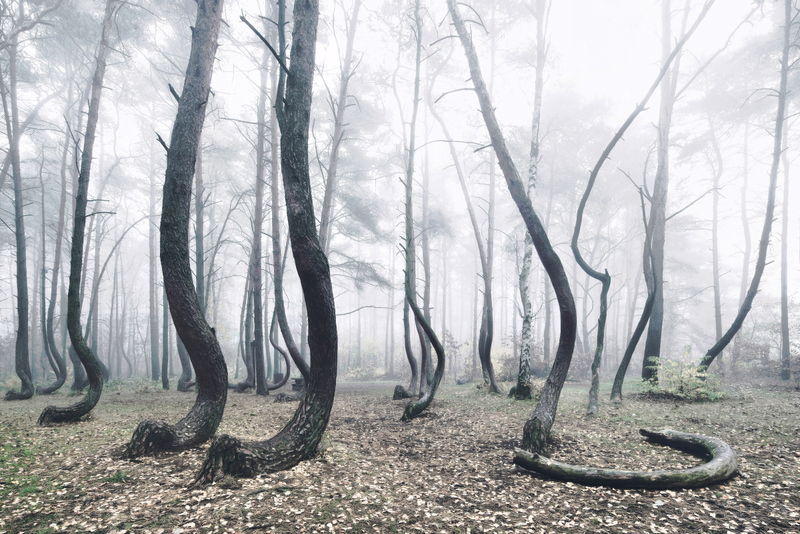 The Crooked Forest is as strange as it is beautiful. 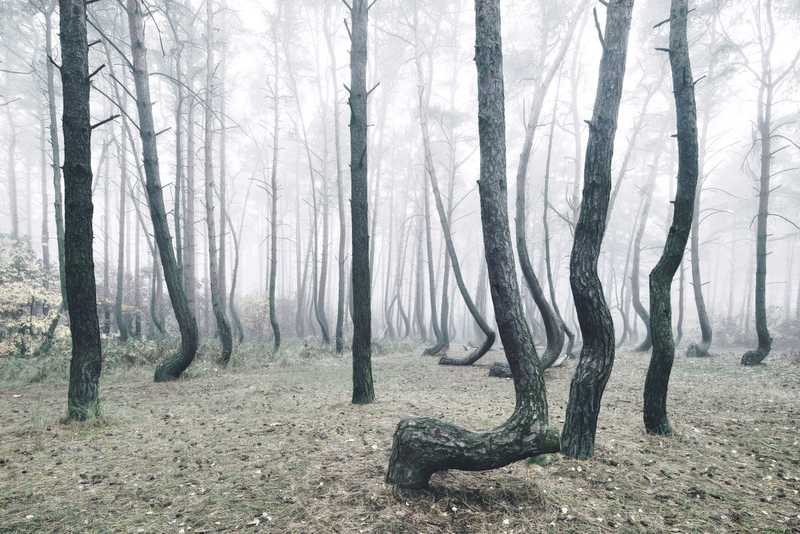 Growing in Poland, just outside of Nowe Czarnowo, there’s some 400 weirdly bent trees. 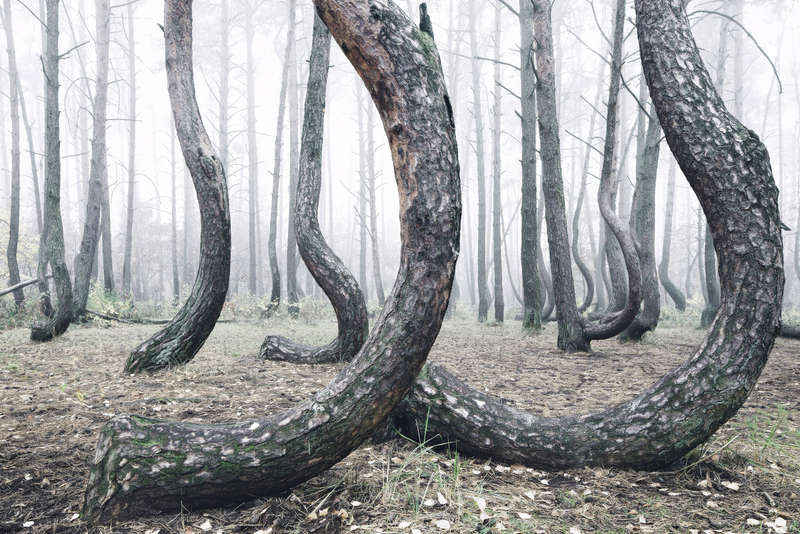 These photographs from Kilian Schönberger reveal the alien trees. 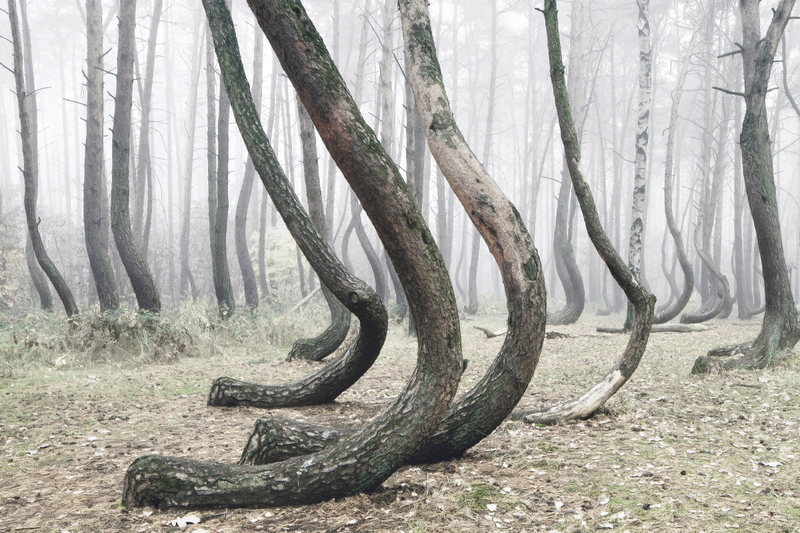 No one is quite sure how – or why – these trees are bent like this. 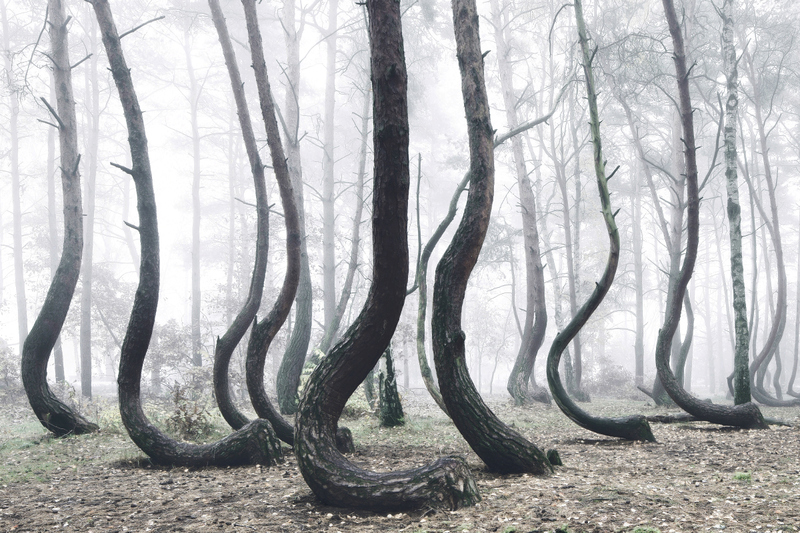 People may have persuaded them to grow this way, using tools and techniques, so the wood from them would be better suited to boat building or furniture but that’s speculation. Fire, flood and other natural events like heavy snowstorms that might have weighed down young trees are also suggested. The truth is – we haven’t yet solved this riddle. 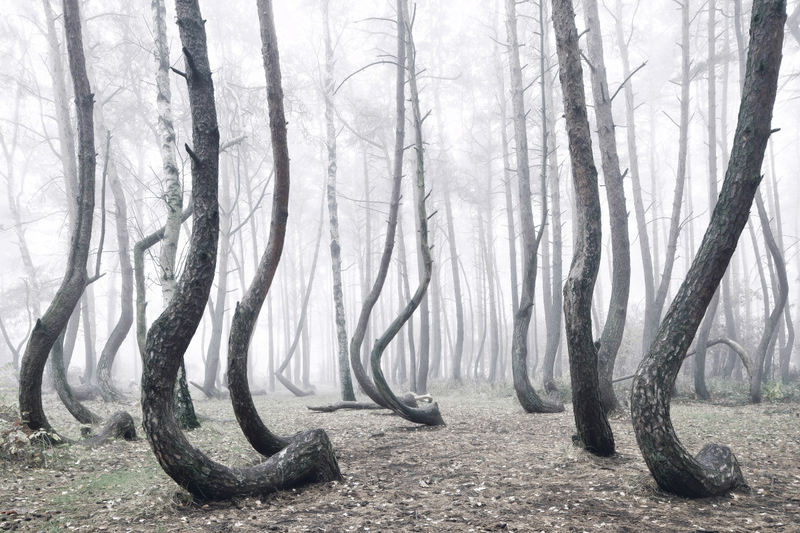 What do you think caused the Crooked Forest? What’s the strangest unsolved mystery that you know about today? This footage was shot in Brazil. You can see the locals throwing dirty slabs of meat in between those fragile looking boats. The result? Chaos! With each throw the feeding piranhas get more and more violent. You can see entire fish leaving the water as they flip back and forth in a frenzy while latched on to the meat. The dangers of piranhas are often over stated but they are dangerous. Anyone can see that getting on to these fishing boats would be a high risk gambit while the shoal was in. What stories have you heard about piranhas that you believe to be true? Whether you’re a fan of organised religion or of garden supplies this living, breathing and beautiful church grown from trees and planets in New Zealand should appeal. The coverage is simple, but will get better with time and the landscape is stunning. Could there be a better place to think and contemplate the bigger picture? In the comments below why not share some of the most beautiful churches you know about or have visited? This video is a time-lapse of the mystical-seeming beauty of the salt flat of Uyuni. While this, at times, looks like something out of our world, Uyuni is in Bolivia. The strange reflections are caused by flood water. The flats are the largest in the world, over 10,000KM2, near the Andes and have an altitude of 3.66m. Tempted to visit? Tourism is important, increasingly so, for the area. Luxury travel companies like Kuoni offer but won’t tell you the price. Equally, ethical holiday specialist Responsible Travel has a wide range of holidays including an 11 day adventure holiday. What’s the most beautiful part of the world that you’ve ever visited? This one creepy little fungus. Native to Australia the proper name for this unnatural looking thing is Clathrus archeri although people tend to call it devil’s fingers or octopus stinkhorn instead. Watch the video and yuo’ll see why. What do you think? Imagine been trapped in a cabin and discovering an egg like shape in the corner that “hatched” like this. Would you run? What would make the ground breathe like this? This video isn’t the best quality but clearly shows the earth rising up and down almost as if the forest itself was breathing. There are some theories ranging from water running beneath the soil, to heavy winds causing the roots to tug at loose earth all the way to escaping gas. Strange underground creature? Some people have suggested that too. What do you think would cause the ground to heave like that? The video starts off with an iPhone sitting right in the middle of a stream of ants. There’s about 300 making their way around the device. You’ll see what happens when the phone starts to ring. The ants form into a circle and make their way anti-clockwise around the device. Ants navigate with sigh but also vibration and magnetism so something like a magnetic speaker in the phone could disrupt their inertial navigation or perhaps the vibrations from the phone were strong enough. Why do you think the ants reacted to the ringing iPhone like this? Have you ever seen hail like that? These ice cubes are large enough to hold between your fingers. It seems all too likely that windows will break. Is the weather getting stranger and do you think the changes are man made or not?